Manufactured with the purest raw ingredients at a manufacturing facility. ALLMAX Nutrition fermentation derived Glutamine provides recovery after training and enhances the immune system, which can be compromised during intense exercise. 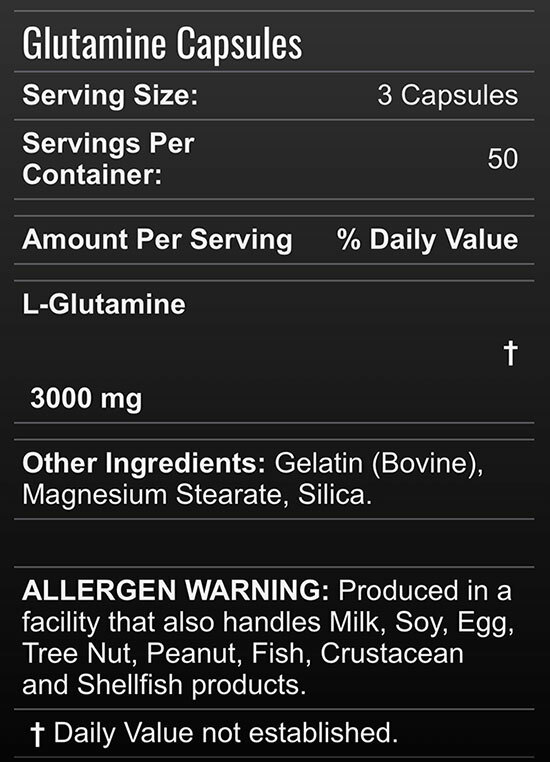 ALLMAX uses only the purest raw ingredients and is not heated or chemically treated. 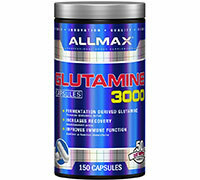 ALLMAX Glutamine Capsules are available in a 150 Capsule size. ALLERGEN INFORMATION: Produced in a facility that also handles Milk, Soy, Egg, Tree Nut, Peanut, Fish, Crustacean and Shellfish products.